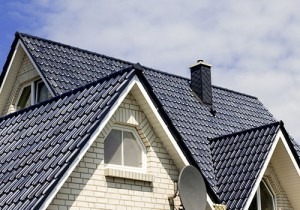 Are you concerned that your roof might be damaged? Have you been searching for one of the finest roofing companies Southampton offers? If so, you need to look no further as Acorn Building Contracts is renowned for being unparalleled and second-to-none to all the roofing companies in Southampton. With more than 25 years of experience covering all aspects of the construction industry, our multi-skilled and expertly trained staff are highly praised for their impeccable attention to detail and high-quality services. To find out more about our distinguished capabilities, get in touch today by calling us on 02380 243 336. Looking for one of the most highly praised and acclaimed roofing companies Southampton can offer? When searching for the best roofing companies in Southampton, we’re confident that you’ll be hard-pressed to find a better and more cost-effective alternative to Acorn Building Contracts. It pays to entrust the experts to identify any roofing concerns, particularly if you have apprehensions that your roof might need to be replaced. Hiring an expertly-trained roofing specialist like our second-to-none team of roofers will help keep money in your pocket and time on your side in the long run as pro-active and regular maintenance will help keep problems at bay. Whether you need your roof replaced or maintained, our fully insured, skilled and experienced tradesmen have got you covered for all your roofing needs. Most of our work comes from complimentary word of mouth recommendations from our existing customers who are happy to applaud our high-quality services, demonstrating our enviable customer satisfaction levels and stellar reputation for excellence. Additionally, our 9.56 rating on Check-A-Trade further validates why out of all the roofing companies Southampton offers, we’re a reputable building company that you can entrust. To find more information about our domestic roofing maintenance and repairs services, please follow the link to the roofing page of our website. Should you have any questions or queries about any aspect of our roofing facilities, then please do not be tentative about giving us a call. We’d be delighted to answer any questions you may have as well as recommending the most suitable service for your specific needs and desires. Over the last 25 years in the building and construction industry, we have worked tirelessly to provide our clients with nothing short of excellence and as a result, we have amassed a notable reputation that precedes us. We assure you that no matter the size, scale or complexity of your project you’ll always receive a service that is worthy of our stellar reputation. 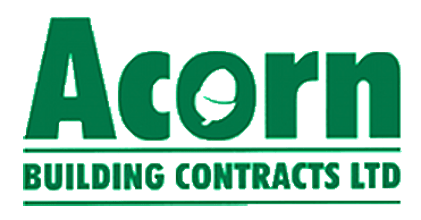 Do you still need convincing that out of all the roofing companies Southampton has to offer, Acorn Building Contracts is the obvious and superior choice for a quality contractor? If so, we encourage you to have a look through our high-definition gallery to find a plentiful of examples of some of the recent projects we have completed for our satisfied clientele. Browsing through our portfolio of work should help you to understand why, when searching for the best Southampton roofing companies on the market, we’re unsurpassable and the first-class choice. Additionally, we recommend that you check out some of the most recent feedback from our existing customers to see for yourself what they have to say about our services and us as a company. After all, please do not just take our word for it that our services, skill-set and capabilities are incomparable to other roofing companies in Southampton, listen to what they have said. Thus, it should be abundantly clear that out of all the roofing companies Southampton has to offer, Acorn Building Contracts is a cut above the rest and by far the best in the business. If you are looking for a reliable, residential builder in Southampton who offers exceptionally competitive prices, you have come to the right company. So, what are you waiting for? If you suspect there is damage to your roof, time really is of the essence so don’t be hesitant about giving a call right away! Your search for one of the most exceptional roofing companies Southampton has to offer is over now that you’ve found out about the outstanding services and ultra-competitive rates offered by Acorn Building Contracts. Out of all the Southampton roofing companies on the market, we’re confident that our expertise, skill-set and capabilities are second-to-none and cannot be matched. Why don’t you give us a call today on 02380 243 336? Alternatively, you can register your interest in our facilities by sending us your inquiry via email or by filling out the contact form on our easily navigable website. Rest assured that irrespective of how you get in touch, we’ll always endeavour to get back to you as efficiently and swiftly as we can.